While doing a quick tidy of my baking cupboard, I realised I had some dried fruit left over from Christmas that I needed to use up. With it being summer, I didn’t want to bake a heavy fruit cake, and I had too much fruit to use up to make Florentines. I decided to make a lovely moist tea cake, perfect with a cup of tea or even as part of an afternoon tea!! 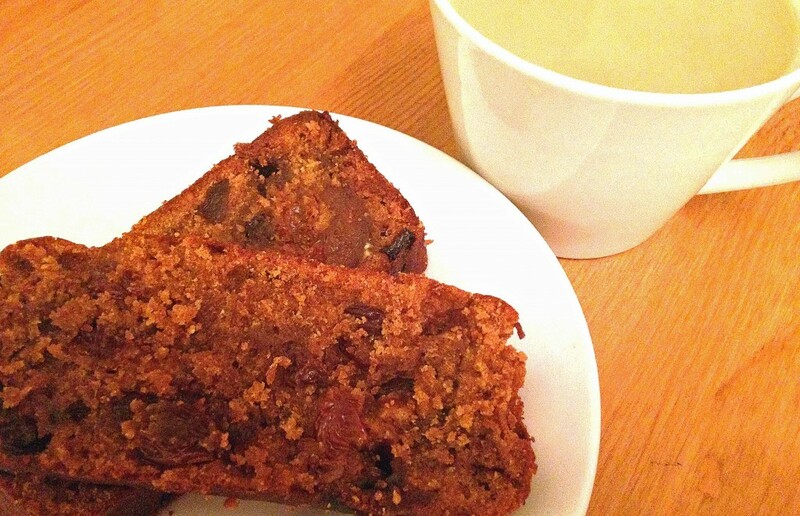 This recipe is super easy and makes a light yet moist tea cake. 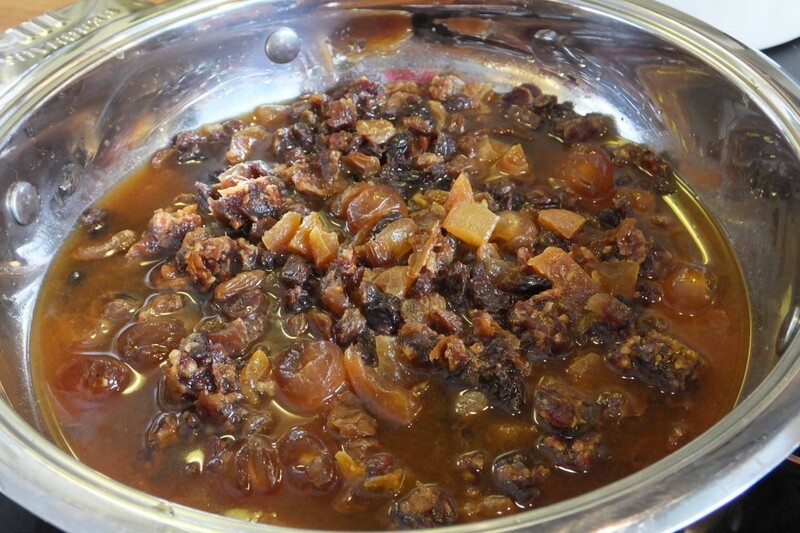 It’s quite a flexible recipe so you can use varying quantities of each dried fruit, depending on what you have. I have used Medjool dates as they are my favourite but you can use any variety. Known as the ‘King of Dates’, Medjool dates are soft, plump and sweet. Preheat your oven to 180°C (Fan 160°C) and grease and line a loaf tin with baking parchment. Pour the tea into a pan and add the fruit and stir. Put the pan on a low heat and gently cook for 45-60 minutes. The fruit will be ready once they have become plump and the tea is absorbed, leaving behind a sweet, thick syrup. 3. Prepare the loaf mix. Cream together the soft margarine and sugar. Once combined well, beat in the eggs. Sieve in the flour and mixed spice and fold into the eggy mixture. Once the flour is folded in, add the syrupy fruit and continue to fold gently. 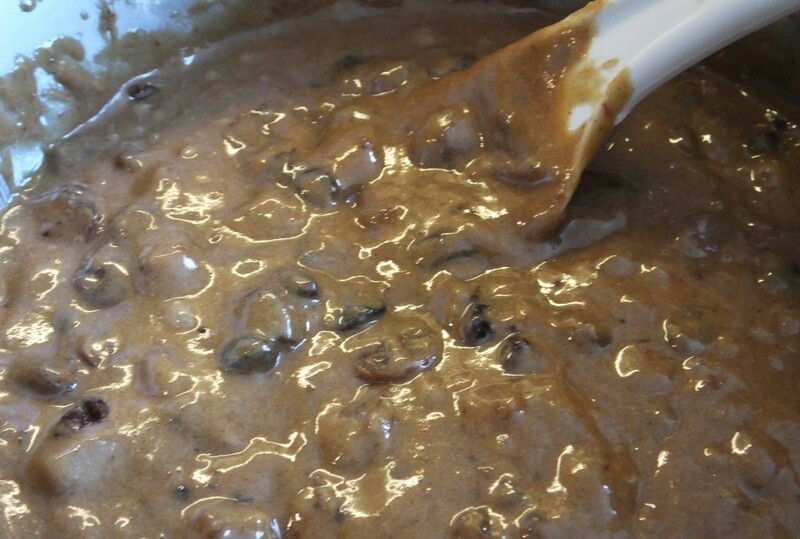 The mixture will become beautifully glossy. 4. Bake the tea loaf. Pour the fruity loaf mix into the lined loaf tin and place in the centre of the preheated oven and bake for one hour. The cake will be ready when it is golden on top and a skewer comes out clean when pierced through the loaf. 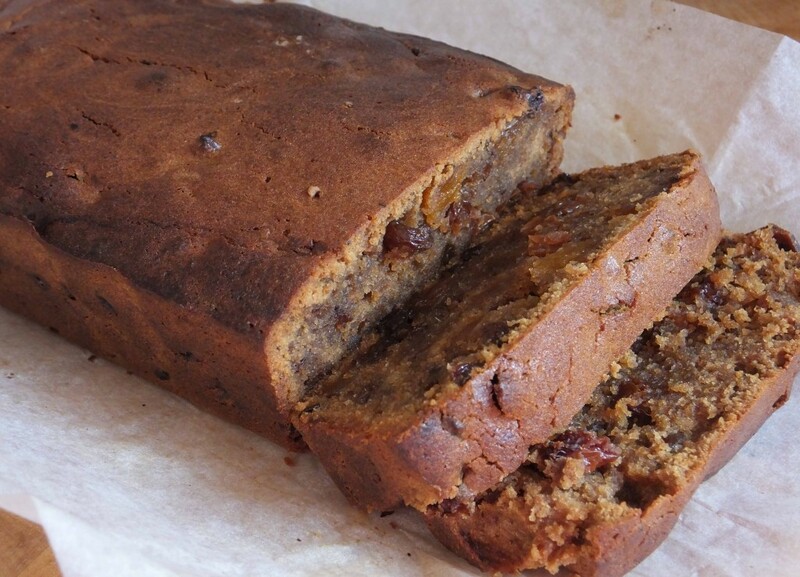 The tea loaf will smell fantastic once out of the oven, but you must resist the temptation to slice it straight away! Allow it to cool in the tin before turning out.